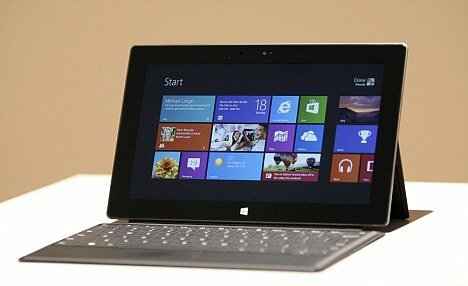 Microsoft has confirmed that it will release its Surface tablet to coincide with the launch of its Windows 8 software on October 26. Microsoft revealed the date in a US Securities and Exchange Commission (SEC) filing. “The next version of our operating system, Windows 8, will be generally available on October 26, 2012,” Microsoft said. The Surface tablet was announced in June, but no release date or specs were given at the time. Microsoft has not confirmed if the 26 October release date covers the US only, or if it will extend to other markets. While the Surface tablet release was largely expected to coincide with Windows 8 availability, this is thought to be the first time the date has been publicly confirmed by Microsoft. The announcement that Microsoft is to make its own hardware for the first time angered many of its partners, something Microsoft alludes to in its filing. However, the firm has refused to release details of the price of the unit. Some internet users have speculated that a top of the range model could cost in excess of $1,600.